Adrienne Kress is an actor and author residing in Toronto, Canada. She has an honours BA in theatre from the University of Toronto and is a graduate of LAMDA’s post-graduate classical acting programme in the UK. 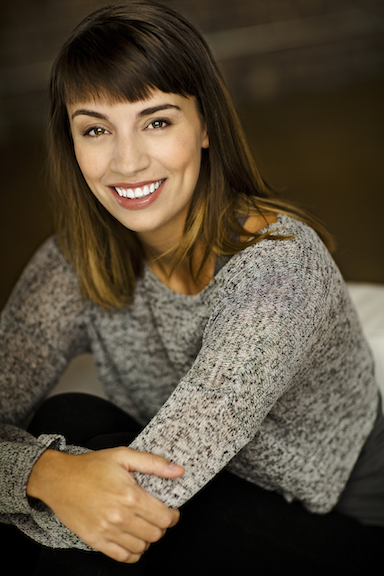 Some of her recent roles include Richard III in Macbeth’s Head (Malfi Productions), Olivia in Twelfth Night (Theatre Georgian Bay), Connie in Come Blow Your Horn (Classic Theatre Festival), and First Lady in Un Ballo in Maschera (Canadian Opera Company). Her television and film credits include the horror flicks Neverknock (SyFy), The Devil’s Mile (Grover’s Mill) and Wolves (directed by David Hayter), and the television shows American Gods (Starz) and Lost Girl (SyFy). Adrienne wrote, produced and directed A Weekend in the Country for both the Summerworks Festival in Toronto, and the Edinburgh Festival Fringe and is the co-writer/director/producer of the webseries Ryan Gosling Must Be Stopped. She is also the author of several award winning and internationally published children’s and young adult novels. Her most recent, The Explorers: The Door In The Alley (Random House), has been optioned for film by Disney. For more information about her writing please visit the author side of her website here! customized by: EZ Designs ltd.